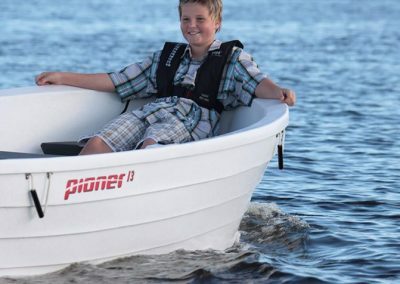 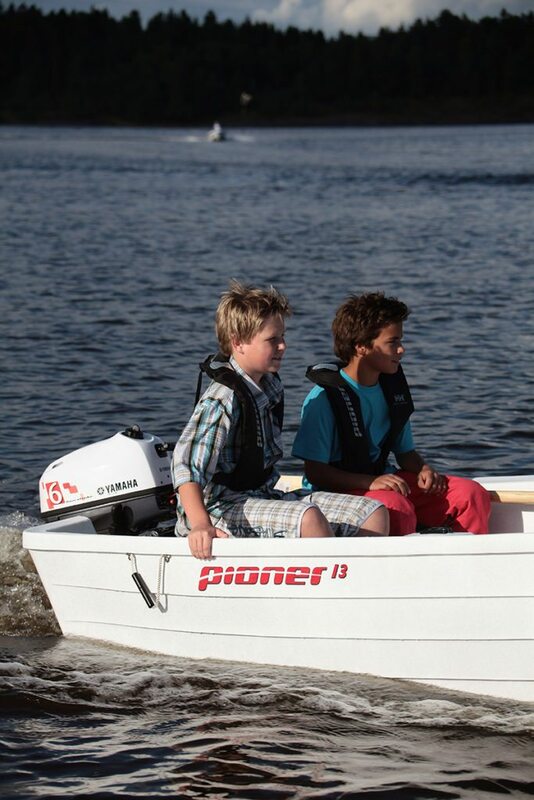 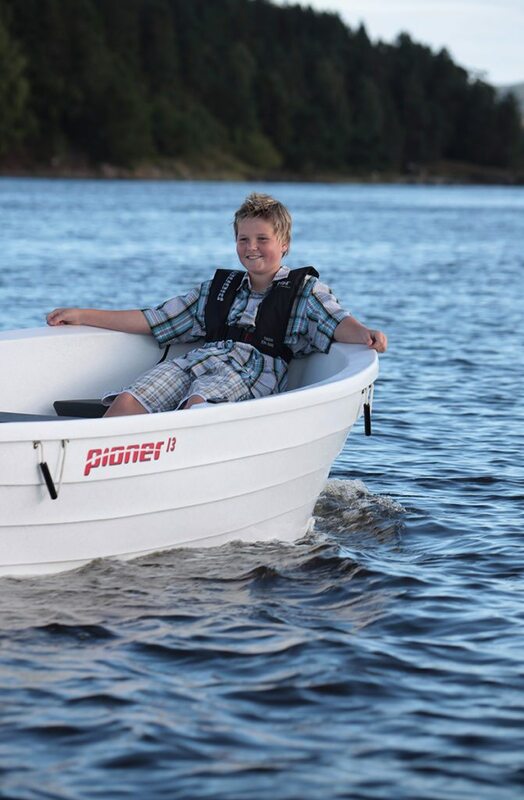 Being stable and easy to drive, the Pioner 13 is great for new boat owners and experienced boaters alike. 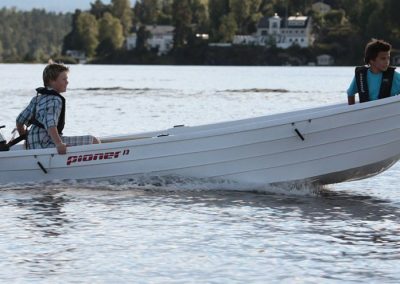 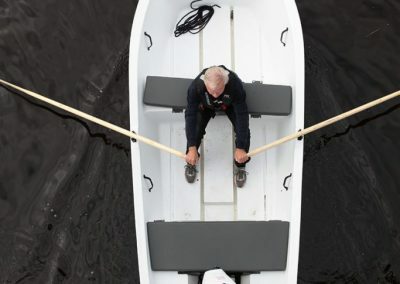 The boat is suitable for smaller 4-stroke engines and rowing. 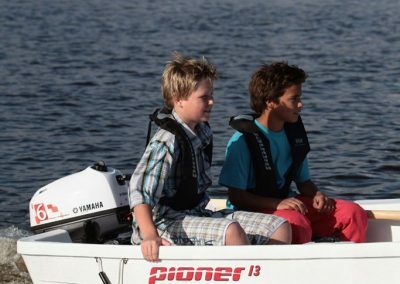 The standard model is spacious and has ample room for five people. 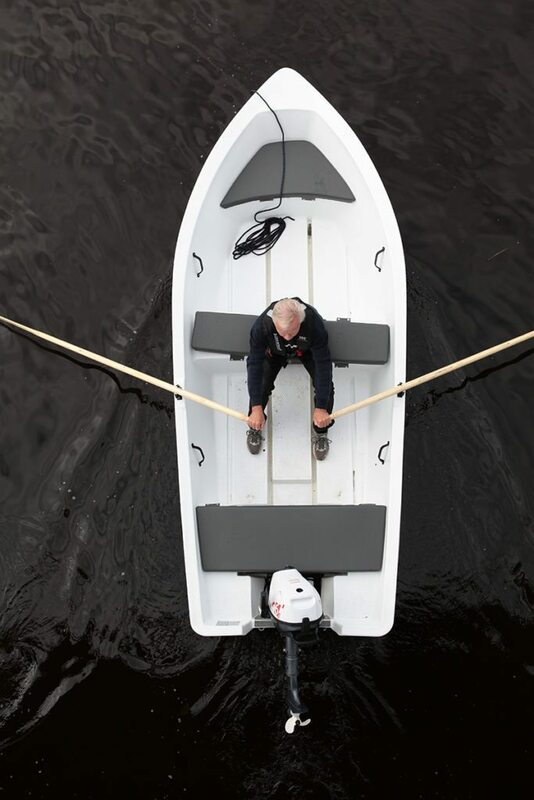 Luggage, equipment and the fuel tank can be placed in two lockable storage areas.